Here, My step grandfather, W.H. 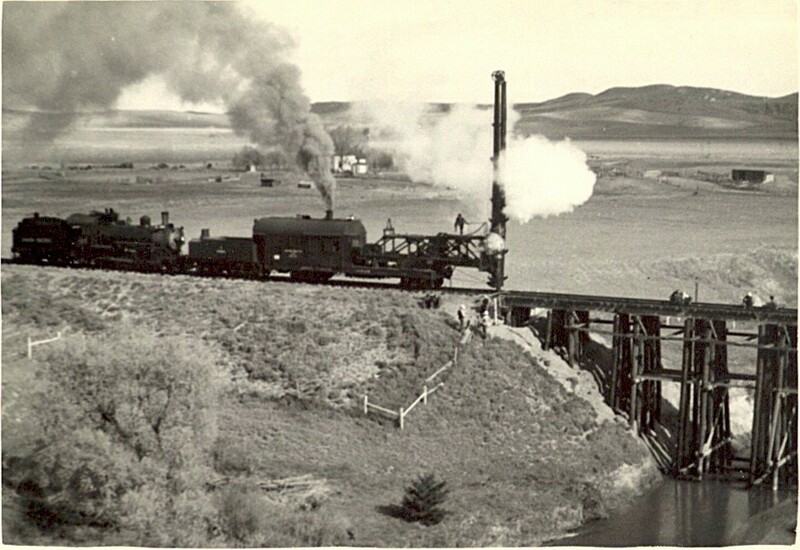 Dermody, uses a pile driver to drive bridge piling near Callaway, Nebraska on the Loup River. Date: Around 1951. This track is now abandoned, the rails are gone and so is this bridge.